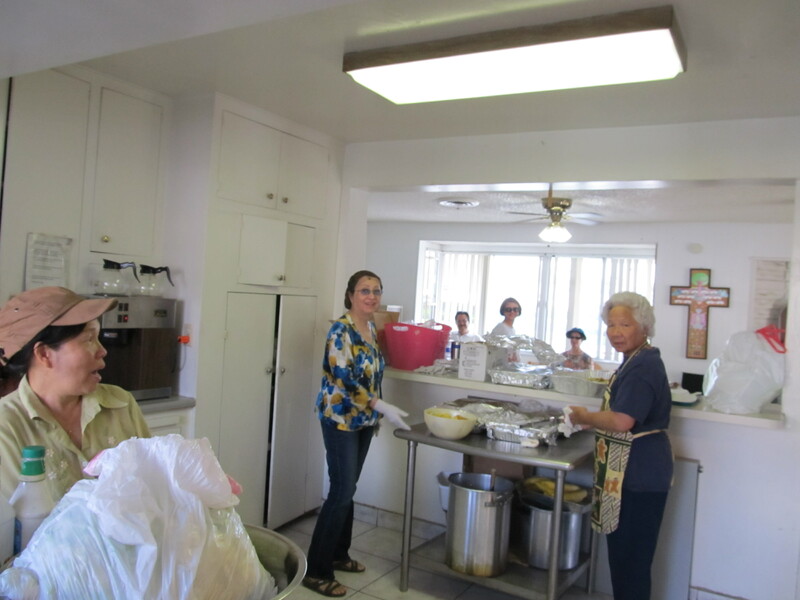 We minister to homeless women, men and children of the Garden Grove and surrounding areas each Saturday of the year. We provide a hot meal beginning at 10:30 AM until noon at the 'White House' address below. Other items we provide at that time may include toiletries and some clothing. For further information and/or you would like to volunteer, please contact Sr. Brid O'Shea at this number: (714) 867-1516. 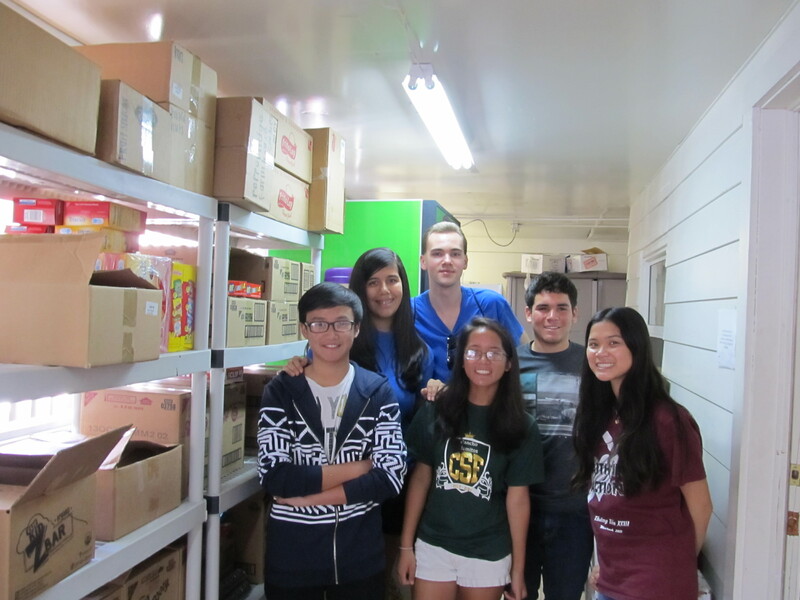 Our team of teens volunteering in the Pantry at the White House.